Last week, I posted about my rules for writers new to social media to consider. I started with the (potentially negative, but not really, I swear) rule to be realistic and not to overextend yourself. Let’s jump into rules two and three. I find this rule works best once you already have a product. If you want to interact beyond tweeting back and forth with your followers, one of the ideas with the best return on investment seems to be to hold a contest that will offer a reward to people who follow, like, or share your stuff. I found this out last year when I posted an interview with Portland poet Matthew Dickman on the PDXX Collective. I asked him to sign a copy of his last poetry collection and offered that up as a prize to anyone who followed the PDXX Collective within 24 hours of the interview going live. We picked up a lot of new followers that way. It’s pretty simple: people love free stuff, and if they can earn free stuff with minimal effort, they’ll usually do it. It may sound cheap, but sometimes that’s just how marketing works. Until you have a book to draw people in, consider engaging with your audience in other ways. Create a hashtag on Twitter related to something you’re working on and ask people to Tweet using that hashtag. Or simply ask them for more comments on your blog so the conversation with your audience doesn’t feel so one-sided (hint hint, dear readers, say something back to me). The publicity job I recently interviewed for is to represent an anthology of work that contains over sixty contributors. Here is where I informed my interviewers that their contributors are their best resources. This is where the old adage, “I’ll scratch your back if you scratch mine” comes into play. It can be as simple as following all the contributors on Twitter, then whenever they have an event to promote, you promote it to your audience. When they see you promote them, they’ll be more likely to use their social media channels to promote you. Twitter is an amazing tool for connecting with people. I managed to snag an interview with one of my living literary icons, Kate Bernheimer, simply by exchanging a few Tweets with her. Using social media to interact with other people may seem daunting at first, but once you realize you can network online similar to how you network in real life, it becomes a lot less intimidating. My favorite kind of marketing is the kind that feels personal. I haven’t read the Divergent trilogy, but I have spent time on Veronica Roth’s website, and the more time I spend on it, the more I want to read her books. 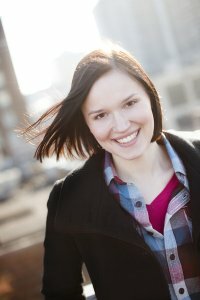 She started her blog while she was in the process of earning her MFA. The great thing is that she kept it going after she signed with an agent, scored a book deal, became famous, and watched her book turn into a movie. Reading her blog is like joining her on her journey as a writer. It is personal and funny and insightful. She has made a fan out of me, not by her books but by her personality, which is a great accomplishment. She is a perfect example of a writer who makes the internet work for her.